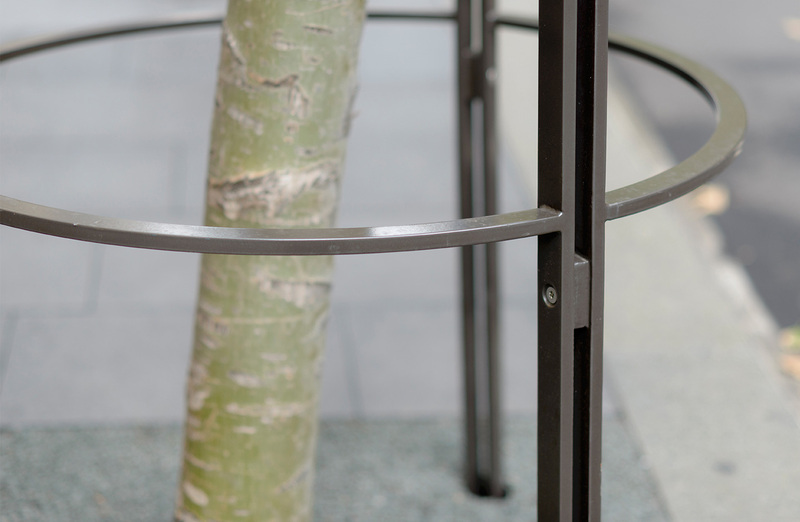 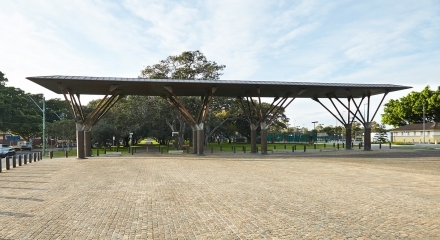 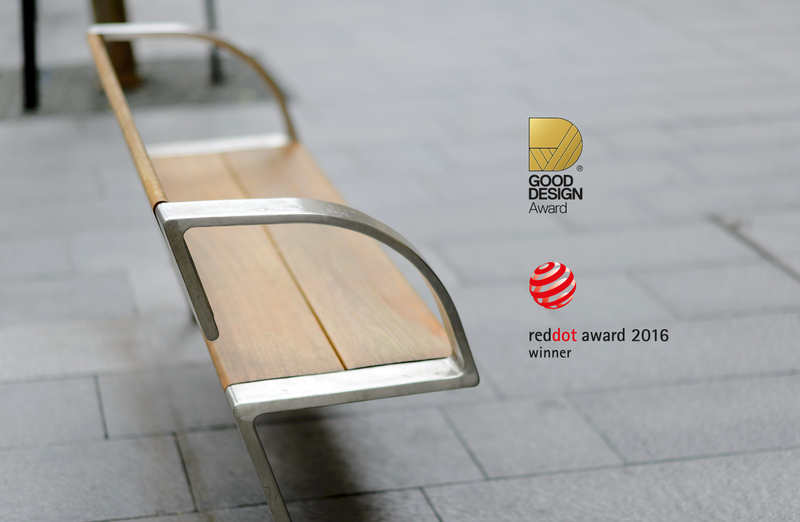 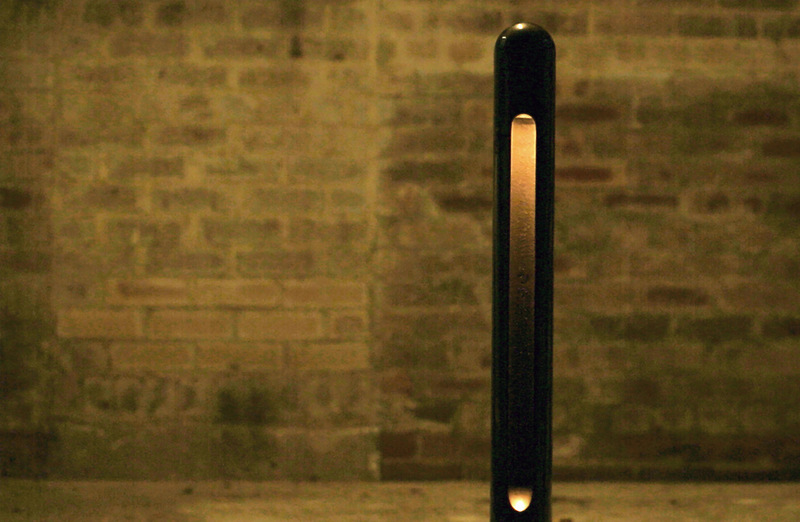 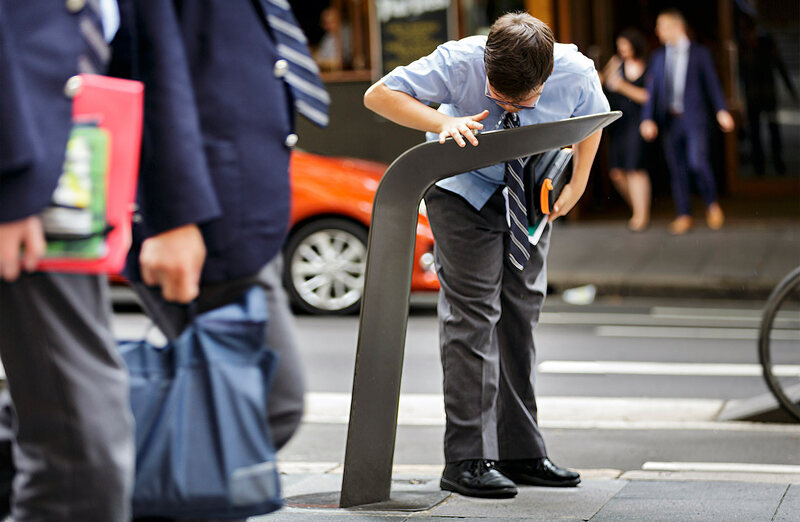 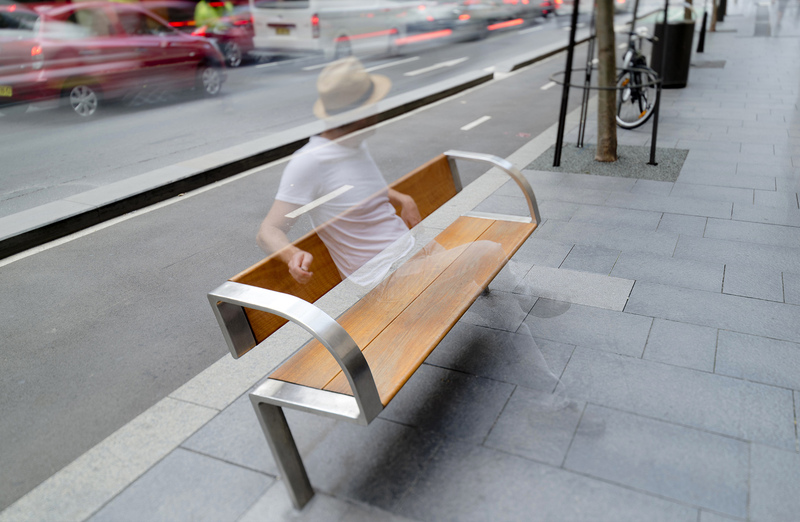 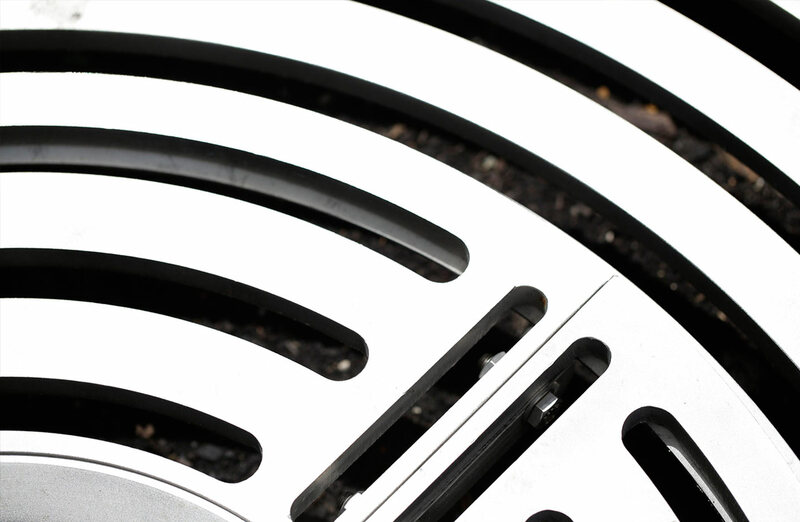 In 2012, Tzannes won a significant City of Sydney Council competition to design a sophisticated, elegant new range of public domain furniture reflecting the city’s design focus, outdoor heritage and culture. 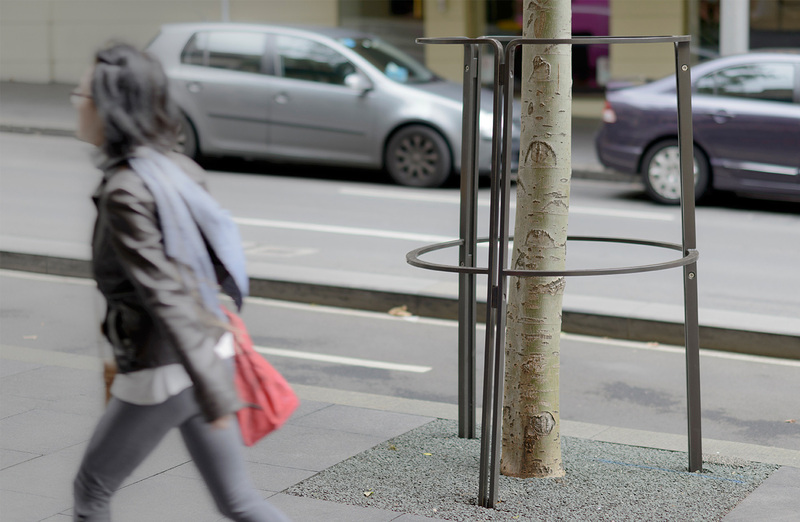 Tzannes believes public domain furniture contributes to a city’s distinctive identity and our aim was to create a family of elements reflecting Sydney’s unique cultural and urban context; inspired by the industrial elements common throughout the inner city, and uses the folded metal plate as the genesis of form for each of the elements. 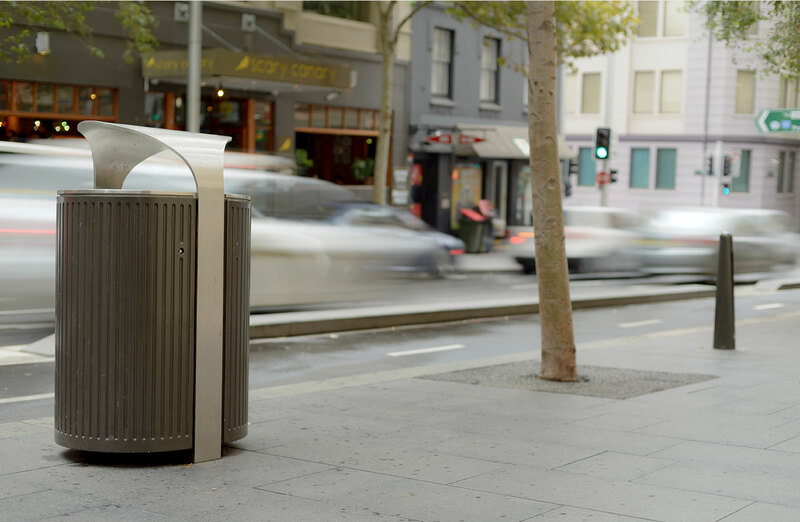 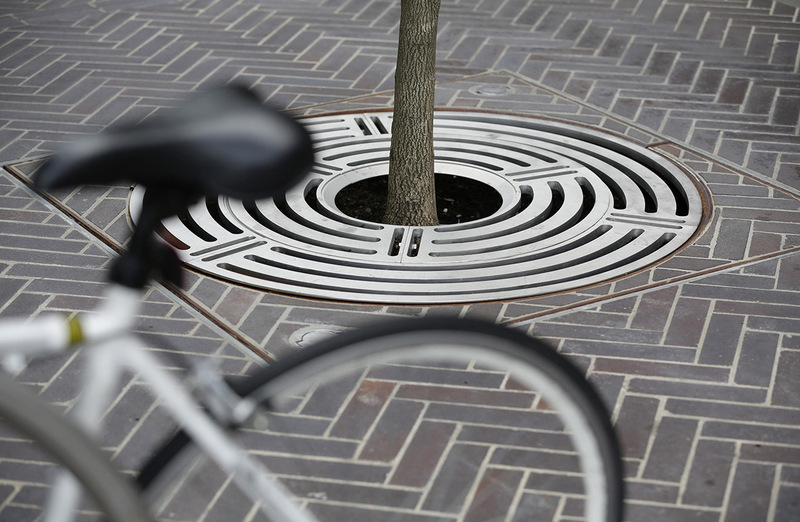 The range developed includes seating, garbage bins, bollards, pedestrian light poles, dining barriers, water fountains, tree guards/grate and signage pylons. 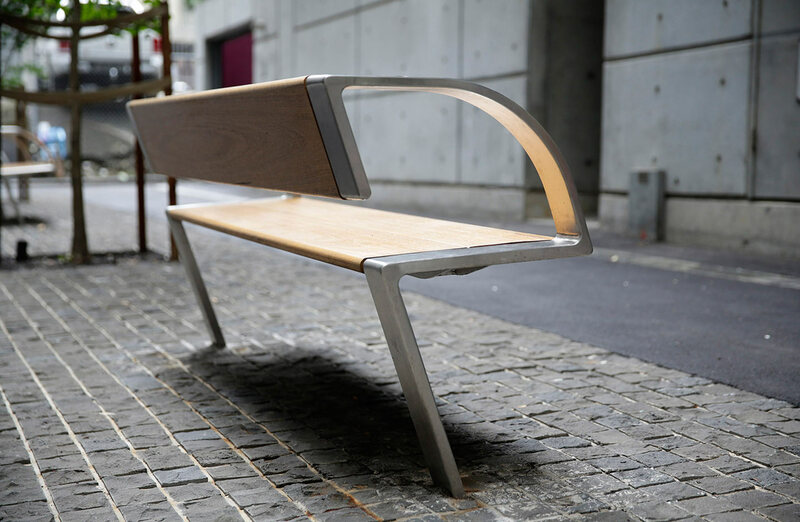 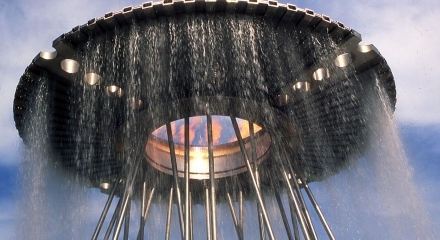 Two suites of the furniture elements have been adopted by the City; a stainless steel suite for the city centre and a ‘bronze’ suite for the surrounding suburbs and ‘villages’. 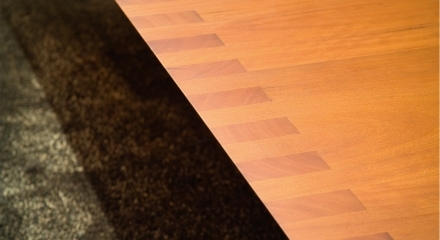 The new furniture is being manufactured in Australia, by ABUD (Australian Built Urban Designs) an Australian owned & operated company located in Kurnell, New South Wales, which has more than 75 years of experience in crafting public domain objects. 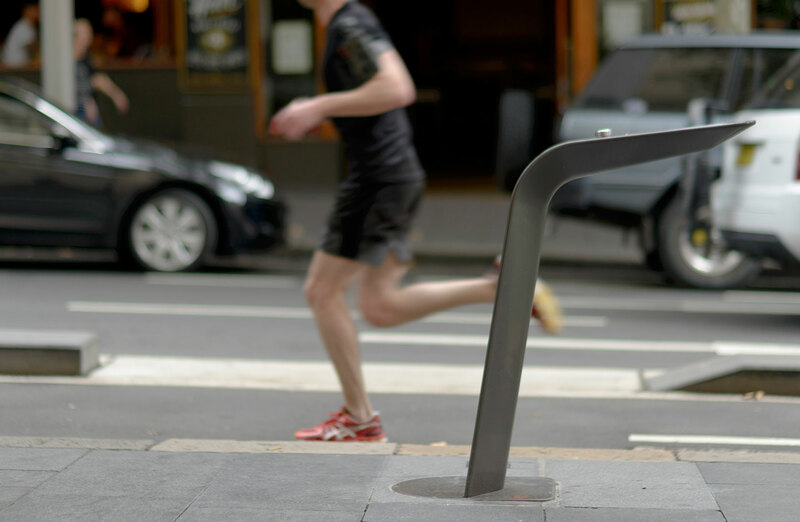 The range is being progressively introduced to the CBD and surrounding suburbs over three years, and will be used in significant new urban projects such as Green Square, Barrangaroo and the pedestrianisation of George Street. 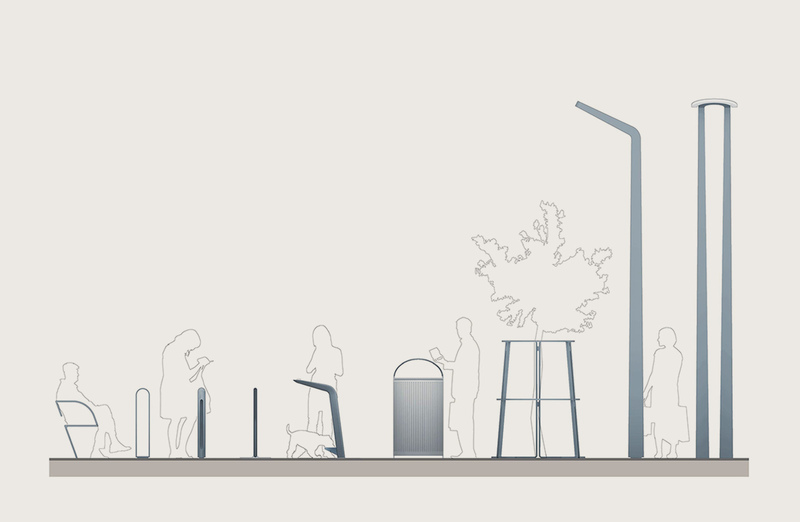 Discover more about the new range of public domain furniture in the video here.